A GRIPPING drama about risk-taking aims to make Halton pupils aware of child sexual exploitation. 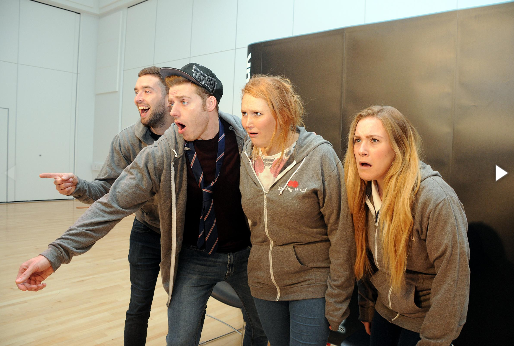 The play, Risking It All, was performed by community theatre company 2 Engage for 100 teenage students at The Grange School in Runcorn on Monday. Pupils were invited to explore what they saw in a question and answer session afterwards. They identified the risks of the young people and families portrayed in the drama. The hard-hitting play will be seen by all secondary pupils in Runcorn and Widnes as part of a campaign to make young people of the danger signs to watch out for. The drama highlights the importance of internet safety and the risks of inappropriate relationships, substance and alcohol abuse. Halton Youth Provision is also running sexual exploitation awareness sessions with young people in schools and in the community. 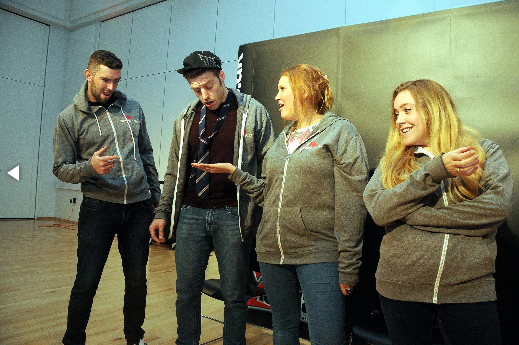 Halton Safeguarding Children’s Board commissioned the drama to help pupils recognise the signs and behaviour of child sexual exploitation. Halton Council and partners, including the police are focusing on schools and those working with young people. Packs have been distributed to all secondary schools, offering advice and guidance on what they can do to help young people who they believe may be in danger of being sexually exploited. Work has already been carried out as part of the campaign to raise awareness amongst young people about child sexual exploitation, explain what it is and offer advice and support to victims, potential victims and their family and friends. Further information about the campaign is available at knowandsee.co.uk. If you are concerned that someone you know may be at risk of child sexual exploitation contact Cheshire Police on 101.